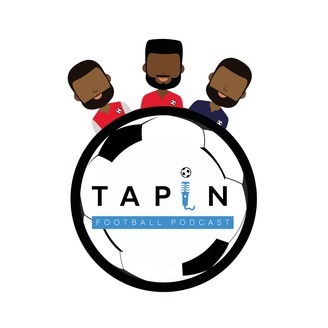 Welcome to our football podcast, discussing everything you argue about in your group chats - football related of course! 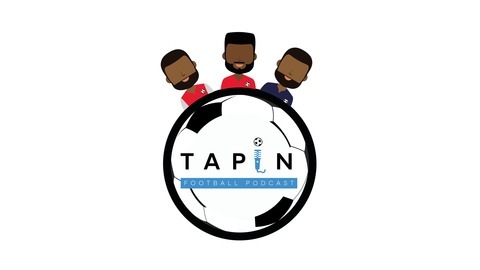 Welcome back to the Tapin podcast folks. We’re rejoined by one of our own after lengthy layoff - Farid aka Twin 1 is back! The rest of the roster picks itself with Stevie Gains, Tapin Tobs, Black Dan and TBE Twin all available to chomp into the best of this week’s action and a preview into next week’s crunch games. During this week’s ep - we talk Pool v Chelsea as Pool maintained the title race at Chelsea’s expense. We also talk City’s result at Palace, what it means for the title race, Pep’s decision making in the 1st CL leg v Tottenham and predictions for the 2nd leg. Is OGS to blame for the lack of quality being shown from Utd , has Martial improved his game during his time at Man Utd? We discuss all of these points in addition to OGS’ rumoured management approach and his side’s chances at the Nourishments Camp. Lastly, we look at the winners and losers this week in the relegation battle, AFC’s chances v Watford, Barton’s latest physical altercation, more comments from Monaco players on Henry’s time at their club and finally, a look back on Tapin Tobs strange encounter with a few Huddersfield FC football players this weekend. Don't forget - we're available via Spotify, Soundcloud, Google Play, Stitcher or iTunes. The links are also available from our Twitter page where you'll find other reliable opinions and thoughts as well as our Facebook & Instagram pages. Make sure to listen throughout and let us know your thoughts and keep a look out for the mini videos we’ll be dropping as part of a new visual element to our podcasts. Last but not least - please follow, comment, like, share, comment, subscribe. Thanks and enjoy the ep.